MVF Mole-LYX Super Energy 16 Elite Bucket - 22.5kg. 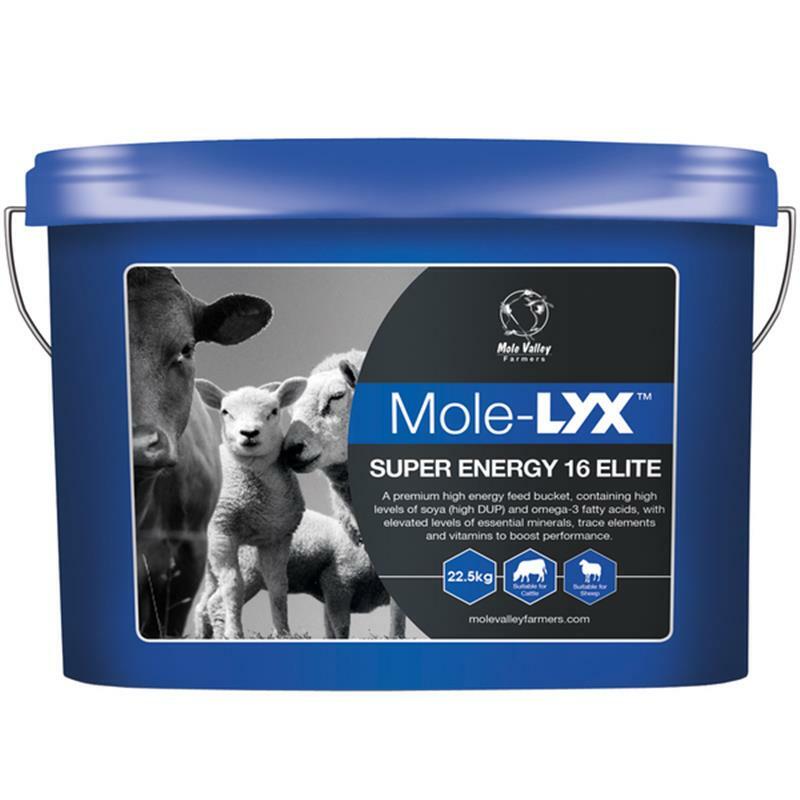 Mole-LYX Super Energy 16 Elite is a premium high energy feed bucket utilising high levels of soya - high in bypass protein. Nutrient loaded with elevated levels of vitamin E, omega 3 fatty acids, Sel-Plex, protected zinc and B vitamins to boost performance.